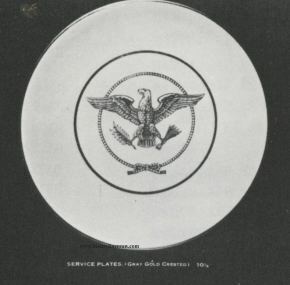 One of the highlights of any ss United States collection. 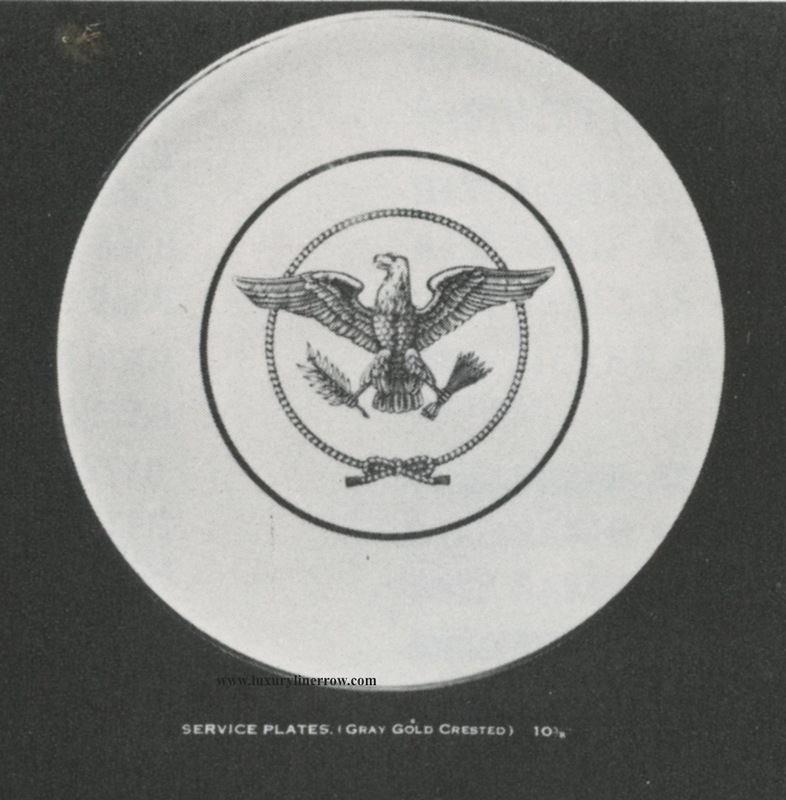 Commonly called “Show Plates,” these charger plates were on the table in first-class when the diner was seated and then were almost immediately taken away. 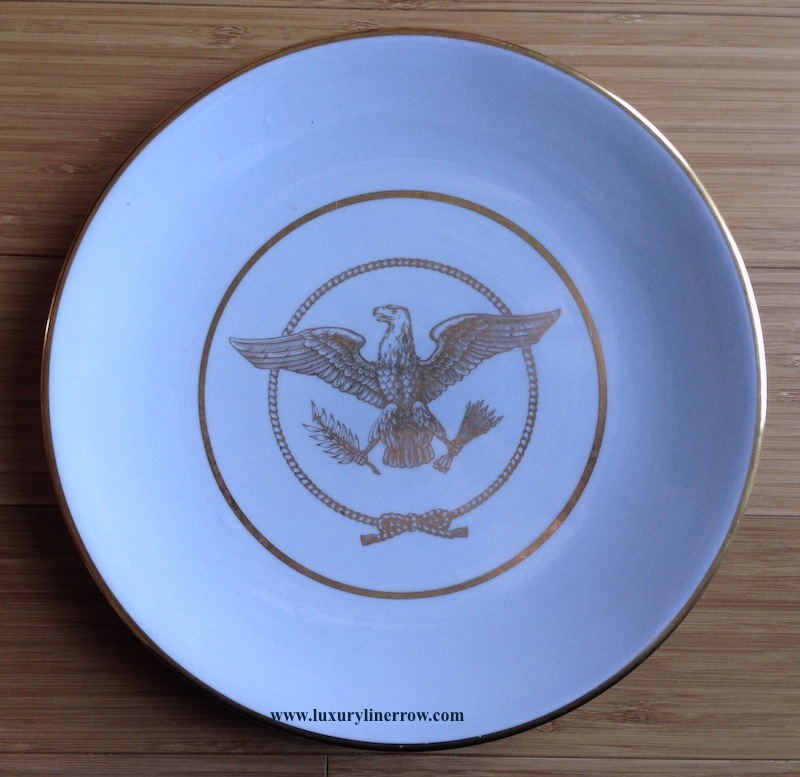 They were for show only as the gold would not stand up to much use. 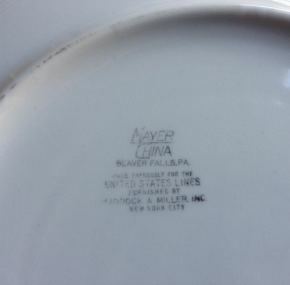 Most of the charger plates that are seen today have some wear to the gold, but not this one. It is nearly mint. 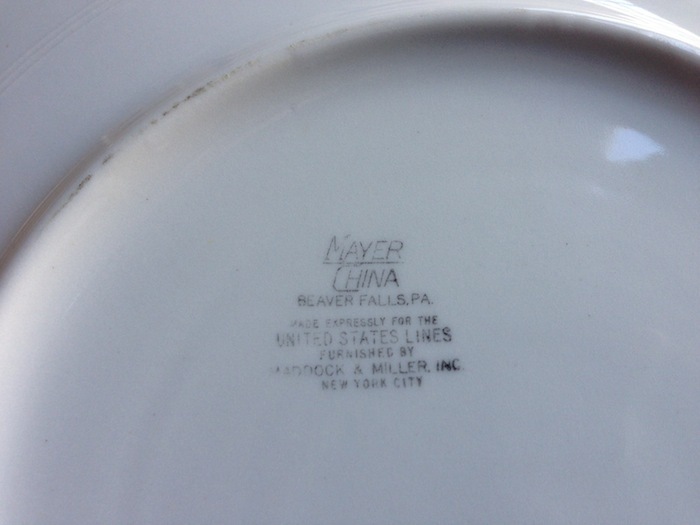 Made by Mayer. 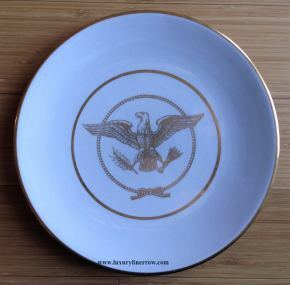 These plates were the star of the show when you sat down for a fine meal at sea. Measuring a hefty 10½”.